ABOUT: Kare 4 Kids offers activity and learning-based camp-style Programs during the Winter and Spring Breaks, and Summer Holidays. 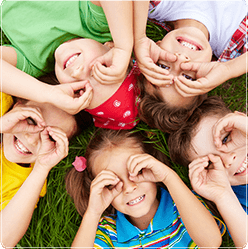 Offering day camps since 2003, our experienced and trained staff provide daily physical activities, outdoor play, water play or swimming, crafts, games, playing with and making friends, and more! Your child will be entertained in a fun, safe and active environment. WINTER/SPRING BREAK: Our camps during the Winter and Spring breaks may include: tobogganing, field trips, crafts and games, theme days and occasional special snacks. 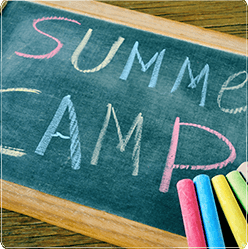 SUMMER CAMP: Our Summer Program includes many theme days, related crafts and games, daily outdoor and water play, occasional sport day camps (such as soccer), guests from local sports teams, daily morning and afternoon snacks, field trips, special lunches and special snacks. 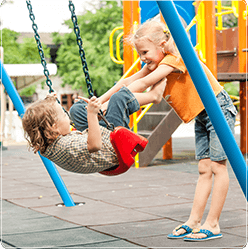 We love to go to local pools and splash pads, and take advantage of the playgrounds and parks in the area. DAY CAMPS: Our day camps are currently located in the gym of W. S. Hawrylak School so we can provide a wide range of games, play and skill-building. Open daily 7:00 a.m. to 5:30 p.m. Schedules are flexible: families create their schedules to suit their individual needs. Full and partial weeks, full and half days, and occasional uses are available. Click HERE for our Summer Program activity calendar.